The New England Aquarium in Boston is 74,000 square feet and has a four-story, 200,000 gallon fish tank. The Roundhouse Aquarium at the end of the Manhattan Beach pier is roughly 2,000 square feet with a one story shark tank that holds a few hundred gallons. What the aquariums share, besides a common purpose, is the same architect. 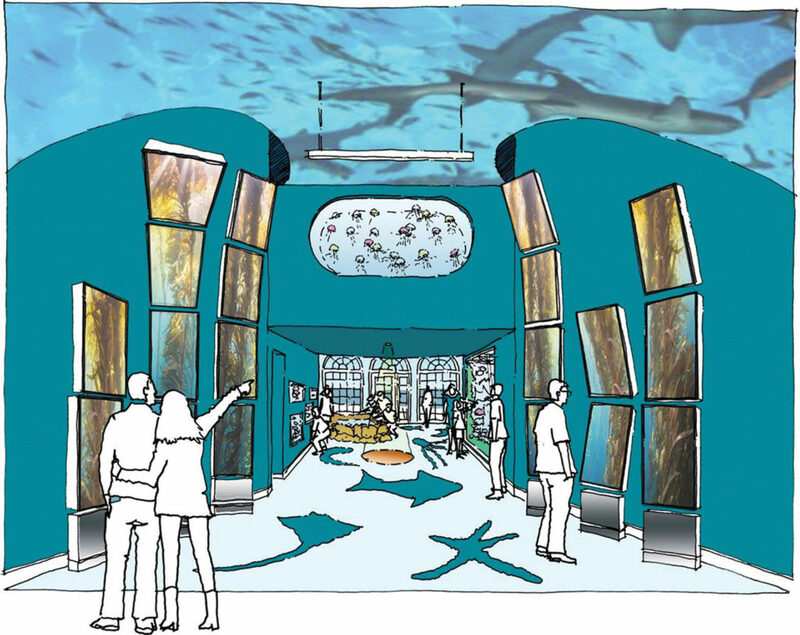 Tuesday night, the Manhattan Beach City Council unanimously approved a $2.5 million redesign of the nearly 100 year old Roundhouse Aquarium by Cambridge Seven Associates. The firm designed the New England Aquarium in 1962 and recently redesigned the aquarium’s Giant Ocean Tank. Cambridge Seven architect Peter Sollogub told the council that though the Roundhouse may be his firm’s smallest project, he brings to it the same enthusiasm his firm has for its aquariums in Baltimore, North Carolina, Fort Lauderdale, Saudi Arabia and Kuwait. “Our best work comes from the heart. This project is that and then some,” Sollogub told the council. The architect credited Skechers president Michael Greenberg with making the project possible. “He refuses to say, ‘Why?’ He always says, ‘Why not,’” Sollogub said. Greenberg, in turn, credited the Roundhouse “dream team,” consisting of Sollogub, Roundhouse board chair John Roberts, city staff and the staff of his Harrison Greenberg Foundation. Greenberg established the foundation in memory of his son, who passed away in 2015, at age 19. The Roundhouse had been one of Harrison’s favorite places growing up, Greenberg said. The foundation is donating $1.25 million toward the remodeling costs and will assist in raising the balance needed to complete the project. Greenberg said the foundation will also assist with operational costs for a minimum of 10 years. Except for structural repairs, the Roundhouse’s 1922 exterior design, with its distinctive red tile roof and green copper cupola topped with a tall weather vane will remain unchanged. 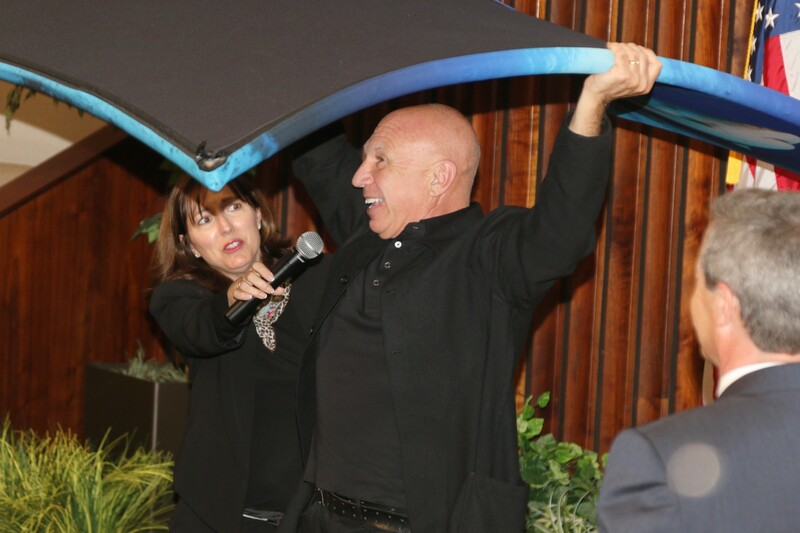 But the redesigned inside will be “magic,” Sollogub promised as he hoisted a frame, stretched with blue fabric, over his head to illustrate how the fabric ceiling will cast an ocean blue hue over the many exhibits. Roberts said his board’s only request of the architect was that the Roundhouse remain a teaching facility. Over 14,000 students from throughout Los Angeles visit the Roundhouse annually, he said.